Calling all men (and women who like shopping in the men’s section) to check out Orange Casuals ASAP. The store is stocked up with clothing from brands like Allen Solly, Indian Terrain, Calvin Klein, and all that jazz. The shirt section is really good and we like the fabric most (cotton and cotton mixes). Their collection includes formal shirts with tie-dye prints and is priced from INR 580. Orange Casuals has joggers, shorts, and jeans, and their collection of jeans is extensive. A whole section filled with slim, relaxed, and bootcut jeans starting INR 700. The formal pants at Orange Casuals are priced from INR 650 and you can shop linen and cotton mixed clothes here. 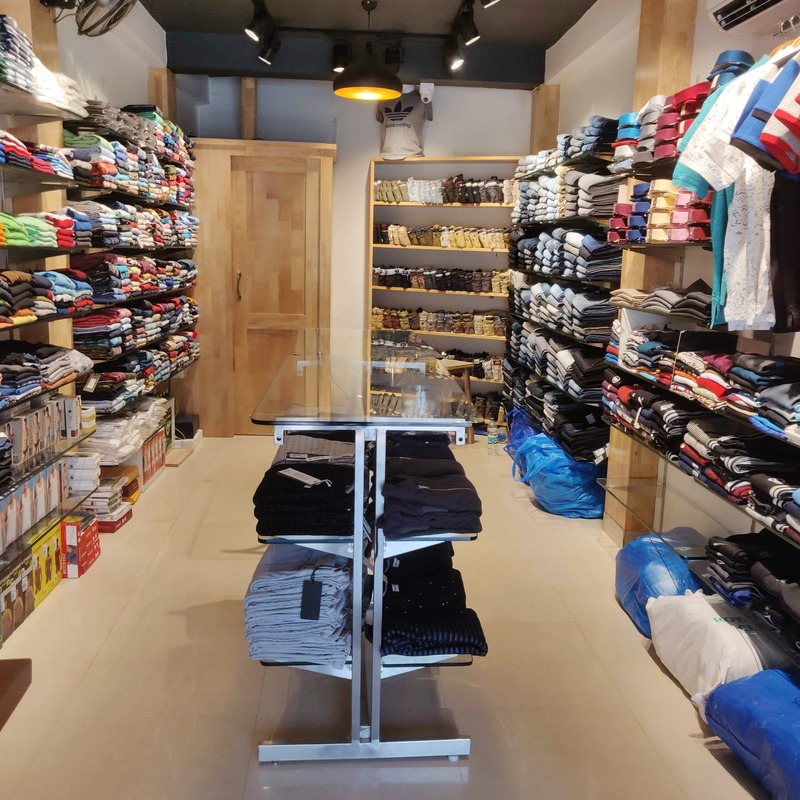 We found tees and shorts from brands like Superdry, Basics, and Adidas starting INR 500. These clothes are the surplus of exports and are in great condition, so head there and shop!